Goal Rundown: Starting Off With "A Healthier Me"
Hi! The work on my new goals continues. With the guidance of the Cultivate PowerSheets, I've invested a few hours, spread out over the last couple of months, in search of what matters most to me at this time in my ever-changing life. Today I want to share a quick rundown of these goals and highlight "A Healthier Me". The list looks small but within those titles, lies a host of mini-goals that I can tackle at a manageable pace. My hope is that by sharing bits at a time, I'll keep focused and inspire others in the process! Without further ado, here's what I have so far! Remember, I'll highlight each goal from time to time on the blog! 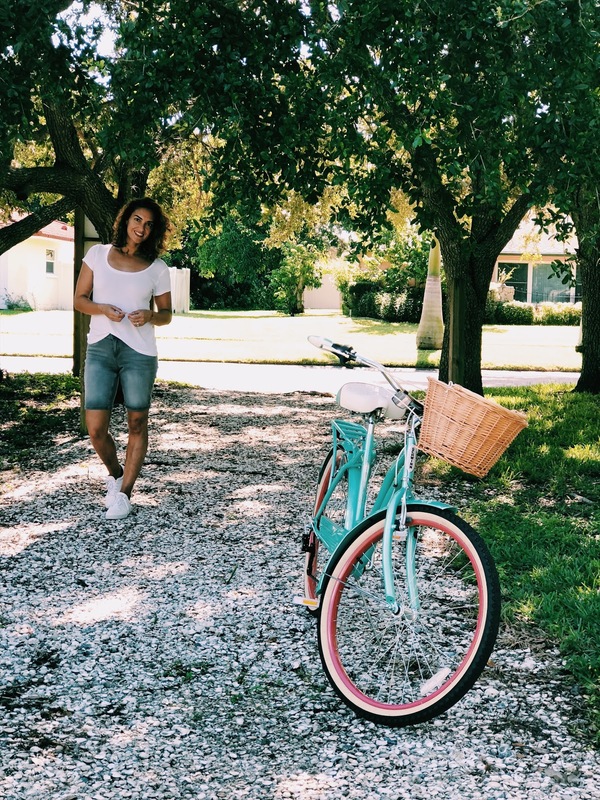 Before moving to Florida, I had the opportunity to join Dacula Fit Body, which helped me tighten the reigns on the healthy lifestyle that I once had a handle on. And then we moved. What I thought would be a couple of months to get adjusted turned into 6 and counting. The new year slipped in with a lot of ground to make up. 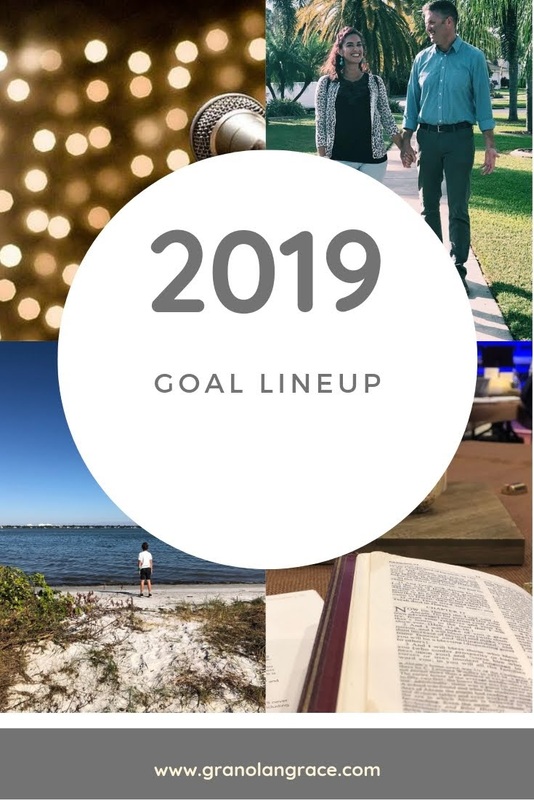 The mini-goal list under this mega goal is quite extensive for my personality type, but as I'm learning from the Cultivate Team, I don't have to master ALL the goals in January. It's "progress not perfection" and "little by little" that counts. I got it Lara Casey! I think I've got it! That's all I'm adding for now. 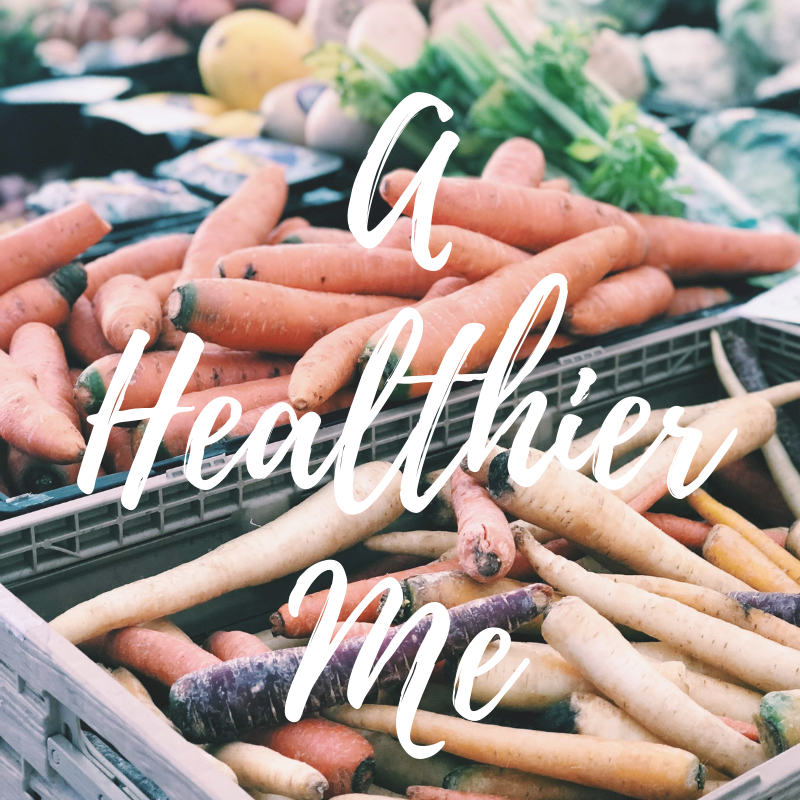 I know it doesn't seem like much, but "a healthier me" is not the only area I need to work on, so I MUST choose what is manageable. The idea is to make a habit out of the lists above, and then add more! Ok, so what are you adding for "a healthier you"? Do you have a long list or something very specific such as: run a marathon, start intermittent fasting, get ripped, etc? I want to remind myself (and YOU) that there's much we can accomplish...little by little. Chrissy, I just know that you're going to nail all your goals and aspirations for 2019! You got this, Girlfriend! I'm totally with you on getting outside more and drinking more water! These goal sheets have helped you to focus, manage, plan and forge forward! Each of these areas now seem so much more attainable! I feel with your mind made healthy, your body is right there too. Proud of you! Thank you sweet Andrea! I appreciate you more than you know!! 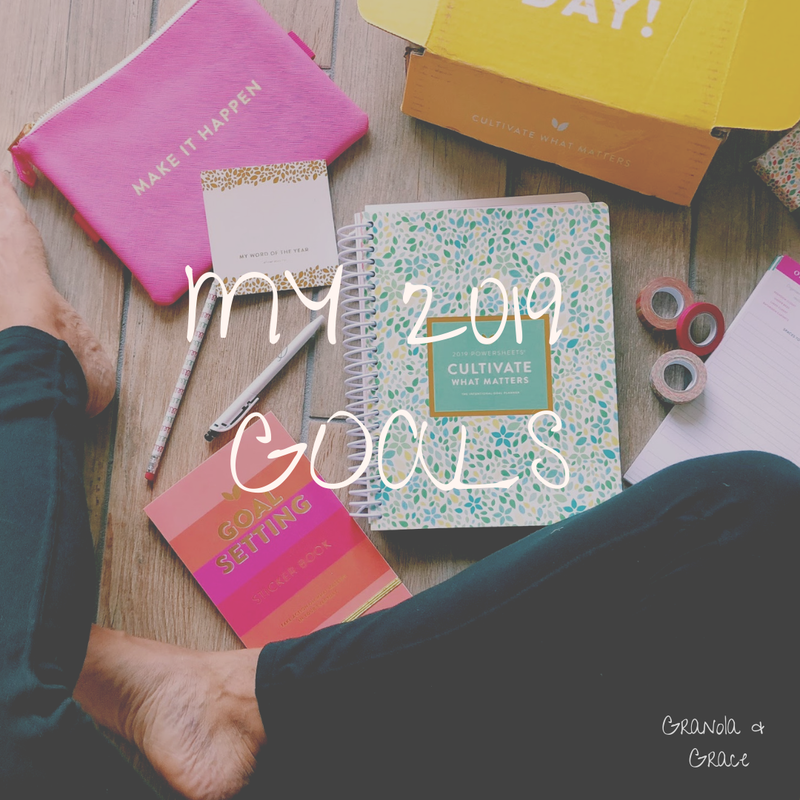 These are such good goals to have to work towards for the year! I find drinking water so important, especially with the heat here at the moment, we are having another heatwave! Good luck with your goals! Each of your goals is do-able and so worth it Chrissy. I can see the benefit to each and know you will work hard on achieving them. Your Power Sheets are really helping you pinpoint and focus on what makes the most sense for you and your family. Well done my friend! Thanks Kellyann! You would think...when I write them down it looks like they should be so easy...and then the day gets going. lol. But it's be so good to really think about what I'm doing from day to day and why. Isnt it funny how easy it is to just forget to wash your face? I'm bad about that too & have to make it a check list thing or I'll just sort of 'rub' make up off with the wipes - but not a good cleaning. Yes....or when I remember, I just don't feel like it. THAT I don't understand...I'm too tired to put soap on my face and then wash it off?? Some things I get why I feel lazy about it...but that one is so easy! Anyway, thanks for visiting Rebecca Jo. It's always a pleasure! I love that you have mini goals under your larger goals. That's kind of how I hope to break down most of my goals for the year. I'm going to make mini goals for them each month and then move my way along. I might have to steal your idea for drinking water. I have a Yeti Tumbler that I use everyday for water, but I need to drink more, so maybe I should start thinking of it in terms of number of Yeti Tumblers. Do You Have Any Hot Pink?